Have you ever thought of what would go into counting the number of fish in a reef? This daunting task, is critical when assessing the state and health of the reefs, and ocean in general. But how exactly would you do it? We can’t really line up the fish and start at one end now can we? Well, scientists at the Rosenstiel School of Marine & Atmospheric Science, have developed a way to do just that. 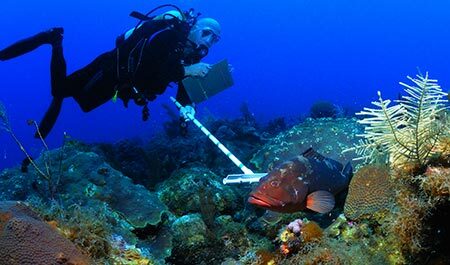 Yes, scientists from the same university that brought us a tool that monitors coral health, have collaborated with NOAA fisheries to develop a fish-counting framework. This new methodology a uses probabilistic survey approach to more-precisely count fish in a cost-effective and efficient way.